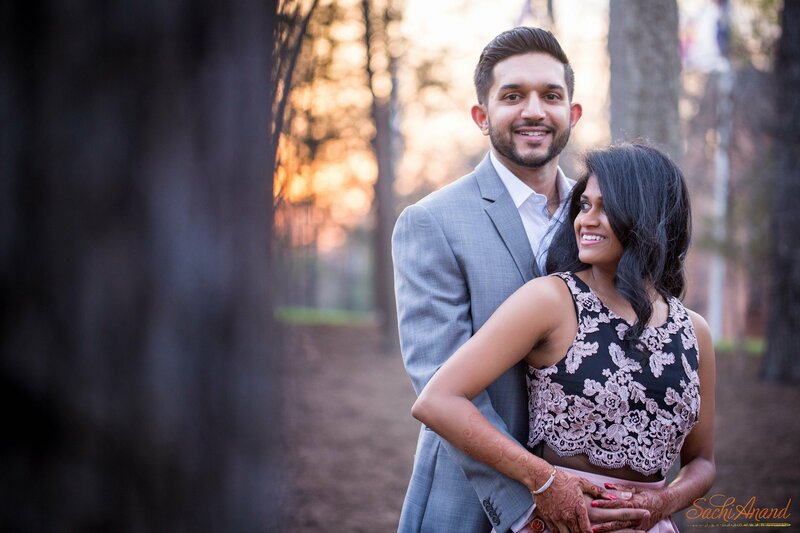 For those of you living in or near New York City and trying to find the perfect Indian wedding venue, read on. Terrace on the Park is located above Flushing Meadows Park in Central Queens, New York. Its elevated locations means you get a breathtaking view of the city, which can be enjoyed at its fullest in the penthouse and rooftop terrace. 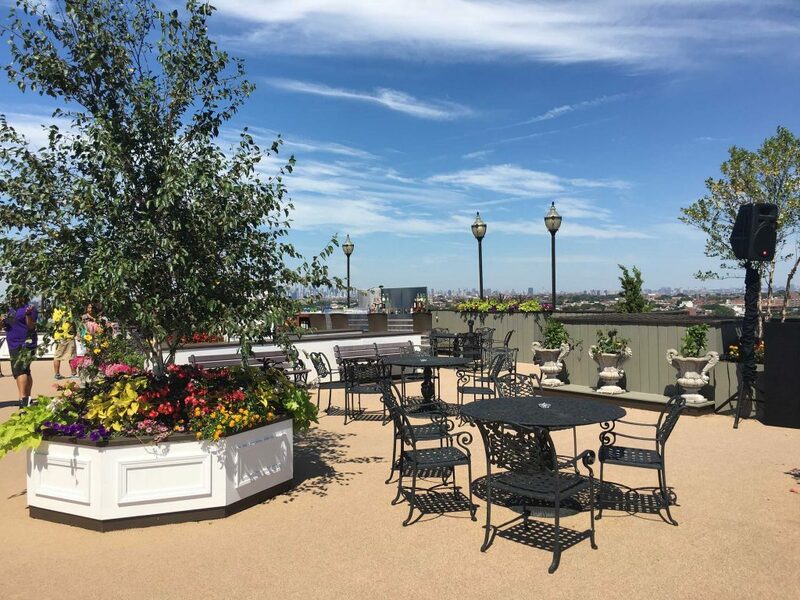 The rooftop terrace adjoins the penthouse and is the perfect location for an outdoor ceremony and wedding reception. 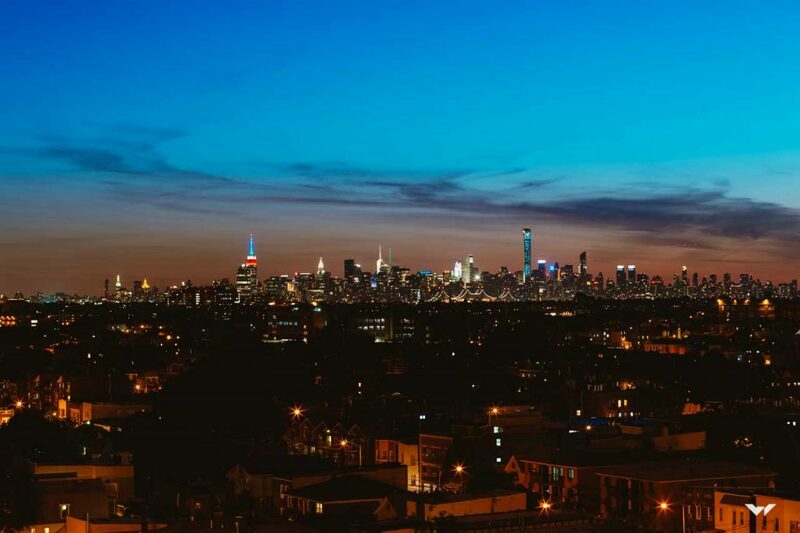 Being able to look out over lush fields and the New York City skyline is a real treat and offers breathtaking photo opportunities – especially if you go for a sunset wedding! 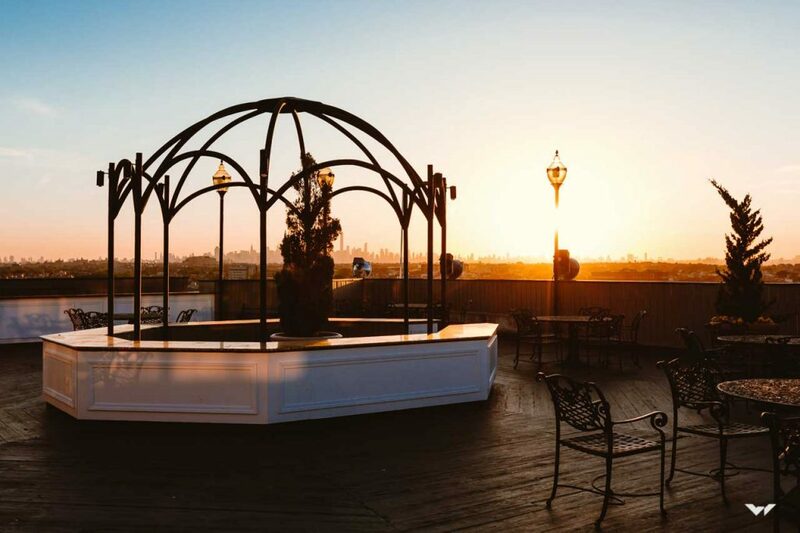 A beautiful rooftop bar feature means it is the perfect place to sip cocktails with guests while you wait for the dancing to begin. The incredibly romantic setting can accommodate hundreds of guests if you are having a big fat Indian wedding or alternatively can be transformed into a cosy space. The huge amount of room available on the rooftop means you can really have fun with your Indian wedding decor and create a floral paradise. 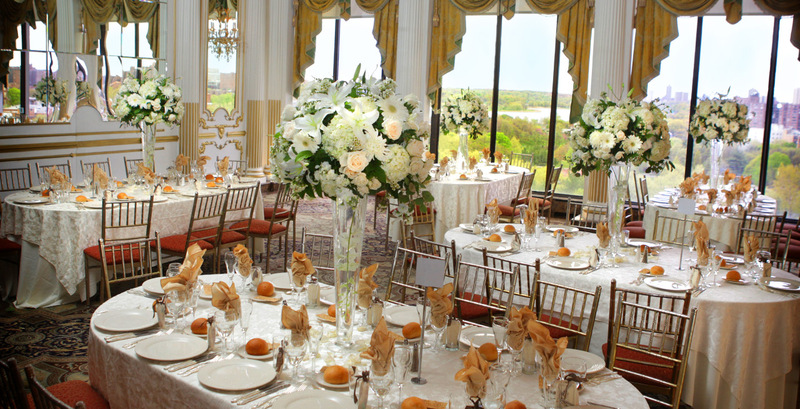 The ballrooms at Terrace on the Park have huge floor to ceiling windows, so even if you’re having all or some of your wedding indoors, you can still enjoy the magnificent view. 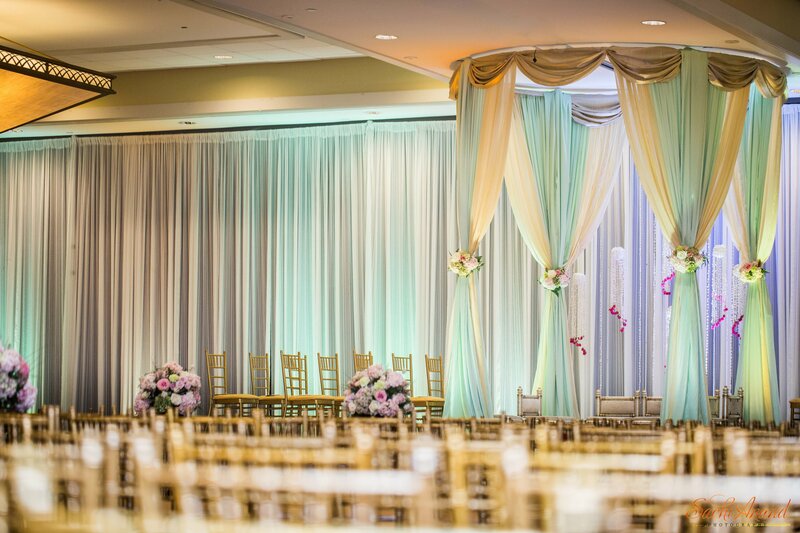 The ballrooms can accommodate big long tables or small round ones as well as a dance floor and DJ or Band. 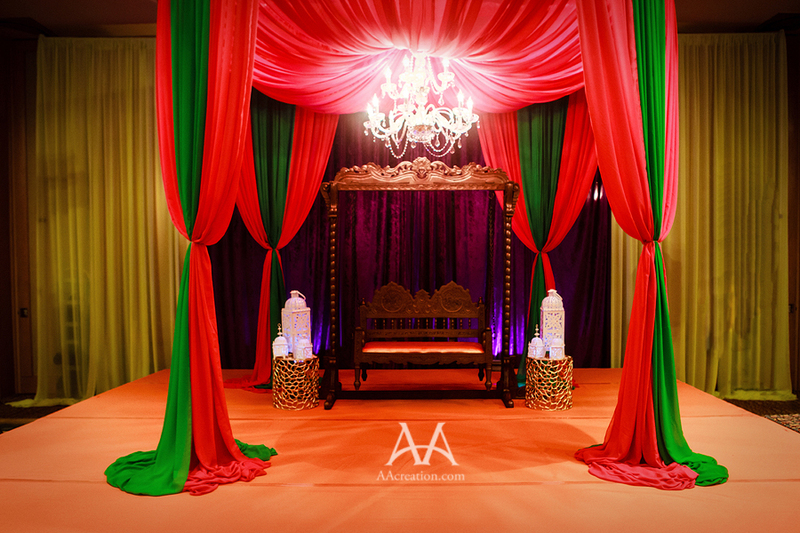 So rest assured – there is plenty of room for some Bollywood dancing! 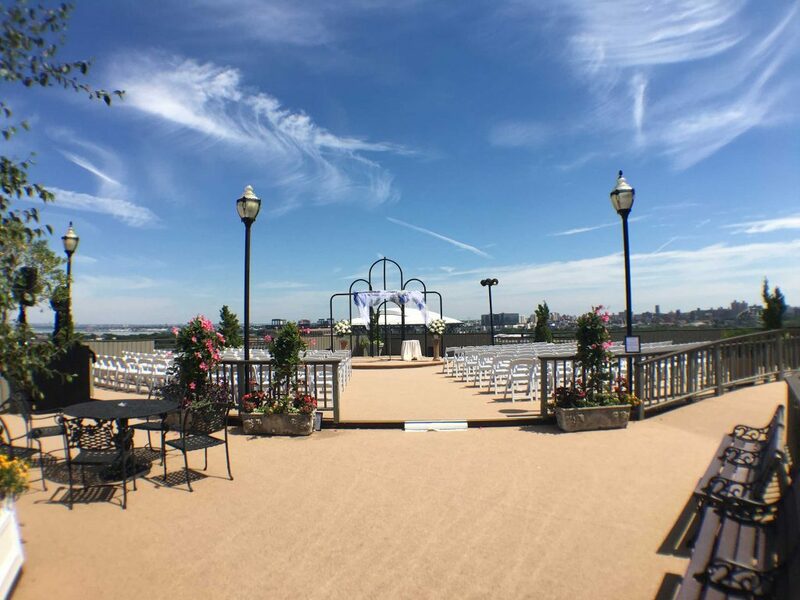 The variety of spaces at Terrace on the Park make it the perfect Indian wedding venue at any time of year and will allow you to either have dreamy outdoor wedding, a sophisticated indoor shindig or a mixture of the two. Weddings may last just a day but the memories live on forever. And when it comes to capturing these beautiful moments, a picture is worth a thousand words. It is no wonder then that wedding photography is evolving everyday with each generation, new technology and new trends. 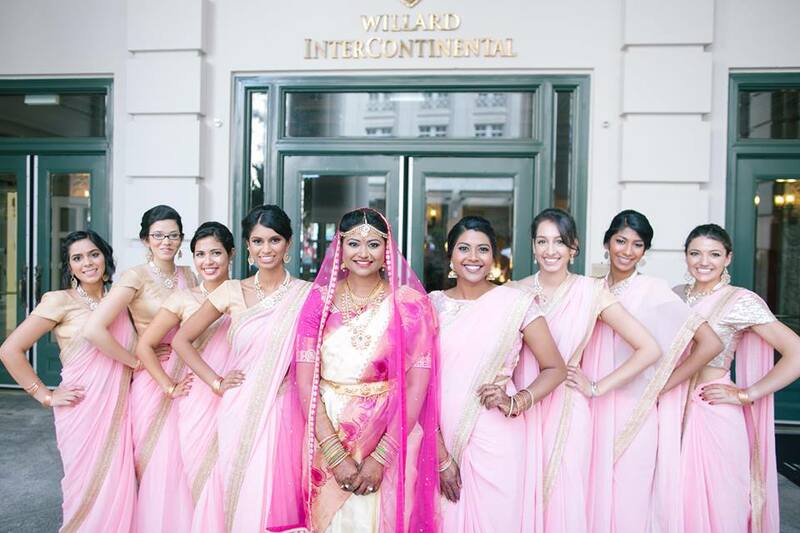 Weddings may be very hectic and covering the event may be very challenging. 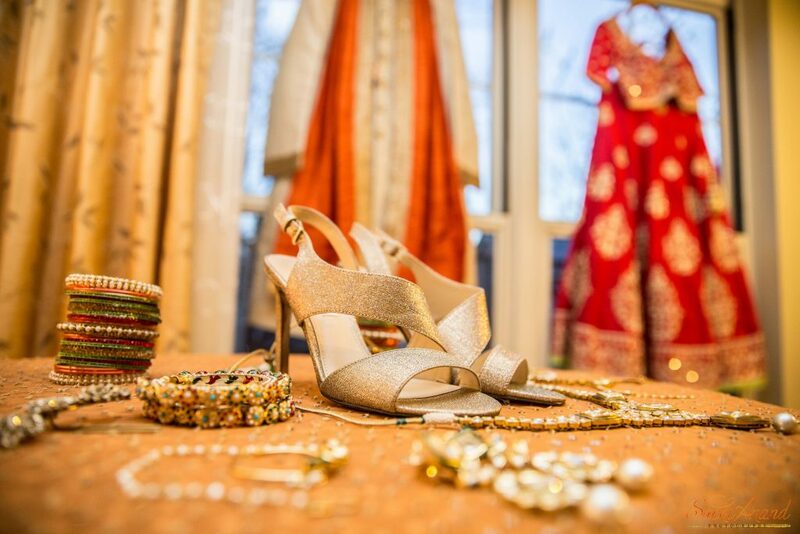 Especially when it comes to Indian weddings, they are very detailed with lots of traditional customs and a large number of guests. The decorations are extensive, the food is vibrant and emotions are rampant. To capture all the flavours of a true Indian wedding is no easy task. Being an Indian wedding photographer in particular takes some true talent indeed. While earlier people just booked local studio guys to take the photographs at a wedding, today more and more people are opting for trained professional wedding photographers. As a result, a new generation of wedding photographers have cropped up today who manage the main wedding event as well as the pre and post wedding shots. Most wedding photographs tell a story and to bring out the best from their subjects, wedding photographers need good inter-personal skills. 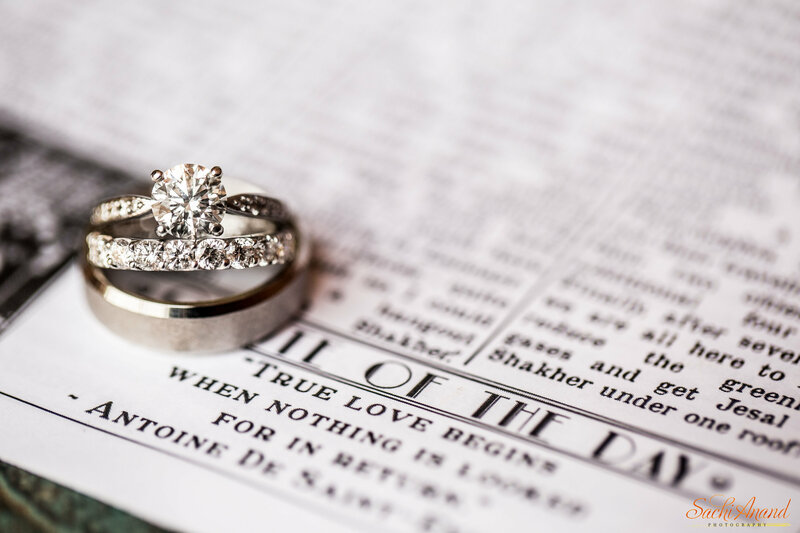 Overall, wedding photography requires a combination of consultation with the couple, excellent planning and some fine photographic abilities. Ahmed Mustefa Ahad, the owner of AAcreation has these abilities in heaps and bounds and it is reflected in his work experience. 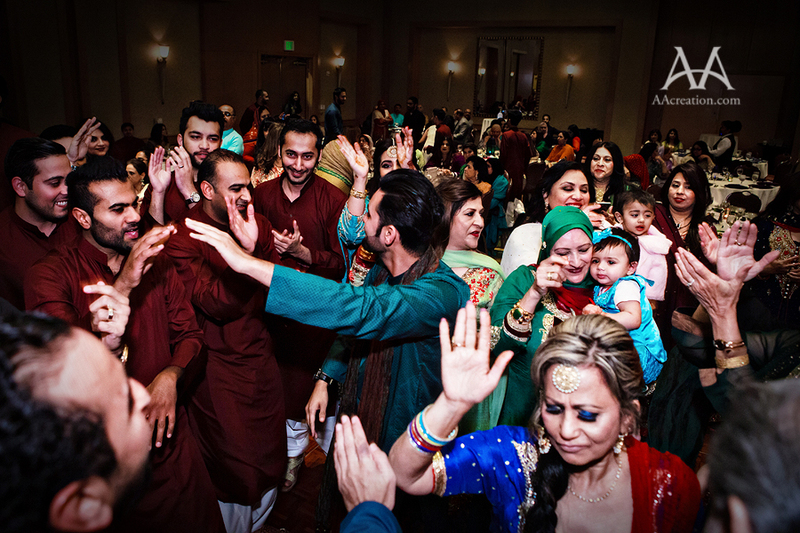 Having been in photography and videography for over 10 years, Ahmed has covered a wide range of weddings and prides himself on his understanding of the culture and customs that come along with traditional Pakistani and Indian weddings. 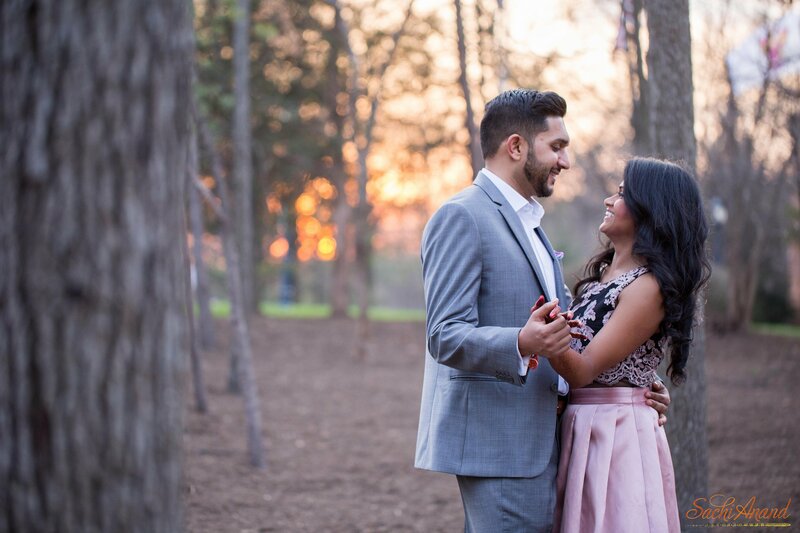 However he strives to be different from other South Asian wedding photographers by adding an American touch to the traditional wedding! 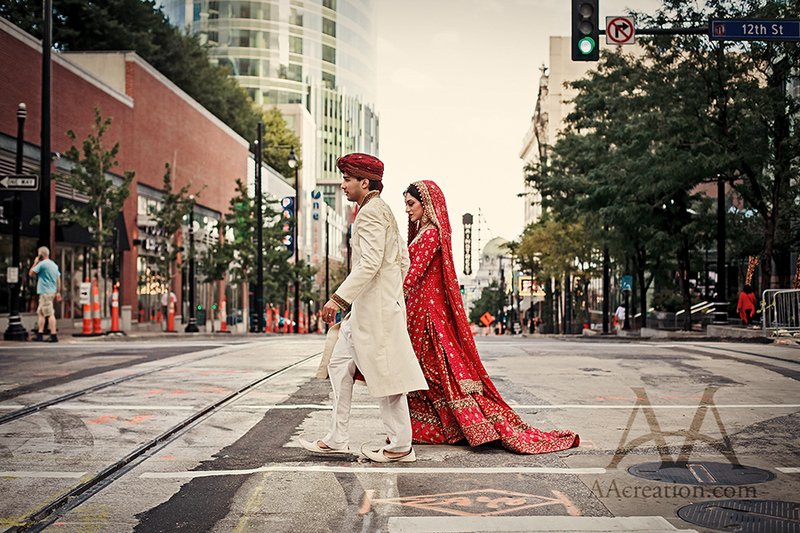 Covering traditional weddings in a way that gives a glimpse into the couple’s culture, AAcreation brings a beautiful fusion of the traditional and the modern to create high quality professional photographs! Weddings may be a one day event but the memories and photos from them are cherished for a lifetime. It is for this very reason that all brides aspire to look their very best on the day of their wedding. When it comes to looking your best, choosing the right makeup artist can make all the difference. 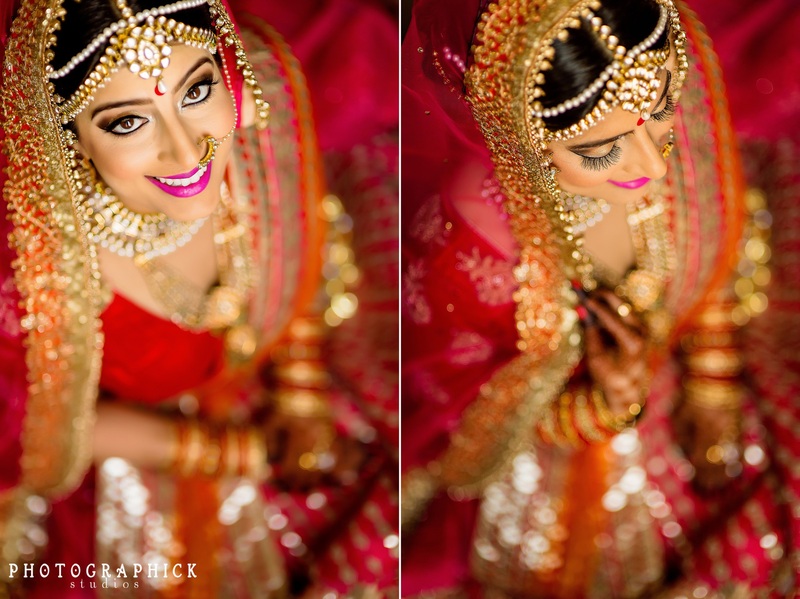 Good makeup artists are able to make brides look effortlessly beautiful and radiant. Good artists are known for their vision. Sisters come makeup artists, Swati Vig and Reeti Luthra had the brilliant vision of turning their passion for beauty into a career path. The sisters opened Salon SBS (Styles by Swati) when they were in their twenties and since then they have been helping brides achieves their perfect looks from smoky and bold to soft, ethereal and delicate. 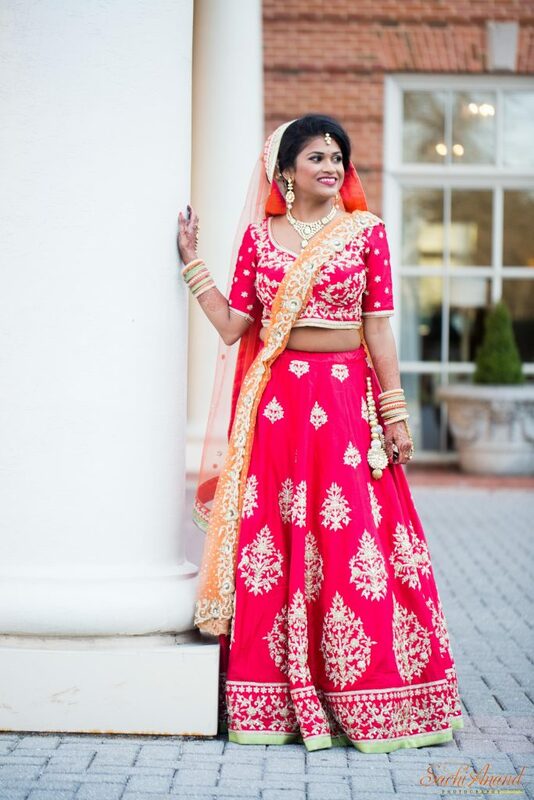 Swati has years of experience in the field of Asian bridal makeup and has worked with lots of traditional Indian, Pakistani, Afghani and even American brides. 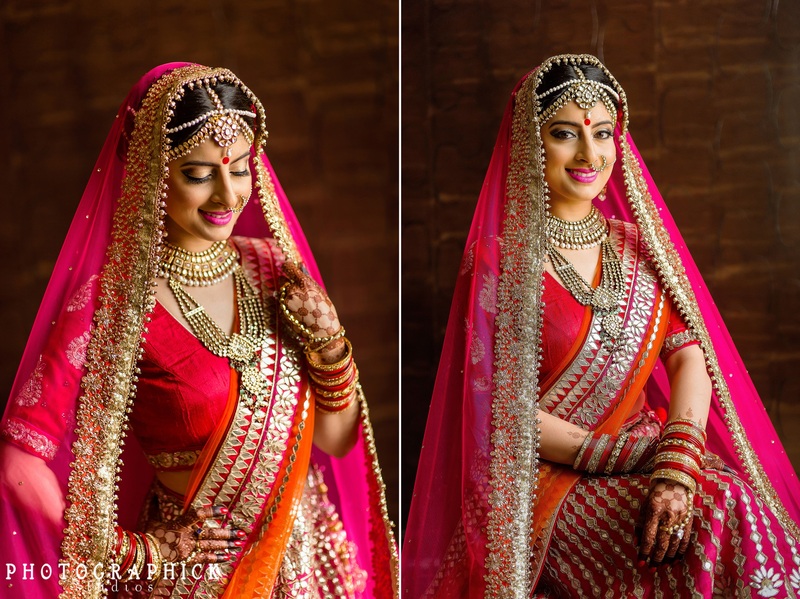 Having worked at several salons previously, Swati’s experience makes her wonderfully suited to Indian bridal makeup and she caters perfectly to the requirements of Indian brides. Co-owner Reeti Luthra not only handles the administrative side of the business, her skill set as well as previous experience as a freelance makeup artist makes her an essential part of the SBS team. Possessing valid certifications in the required field, Reeti is also involved in the training of the makeup artistry for all occasions and hopes to take the Salon to new highs! Salon SBS offers customised services so that all styling and makeup are tailored to individual needs and expectations. Versatility is their forte and they do their best to meet the expectations of all their clients. 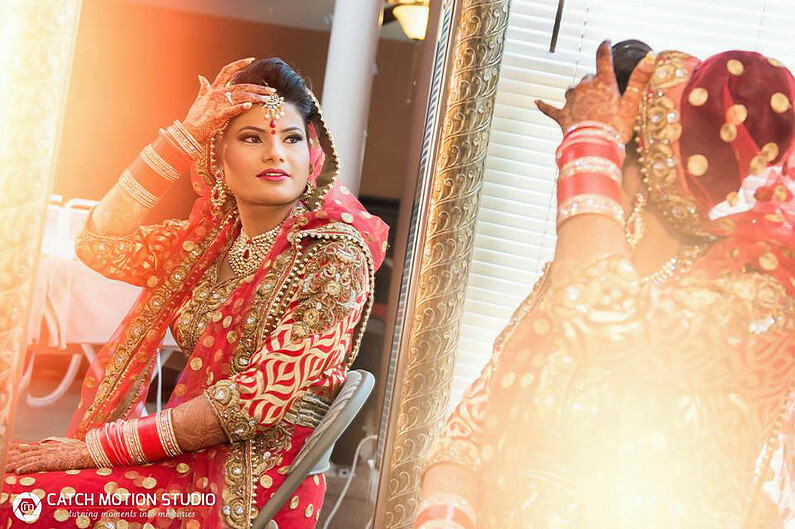 Together, the sisters use their creative flair to enhance the natural beauty of all brides and ensure that each bride achieves her perfect look! 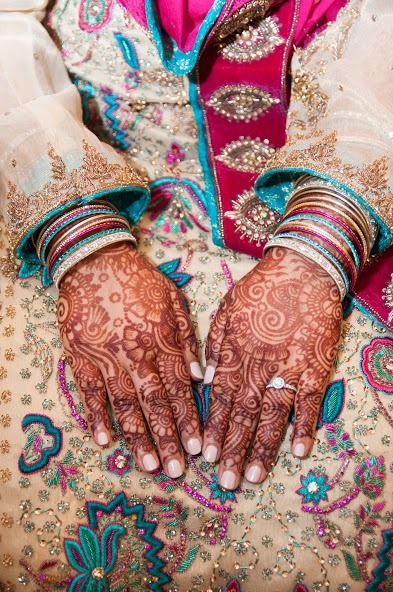 The mehndi ceremony is one of the major events leading up to an Asian bride’s wedding. It is a fun jovial event which often involves music, dancing and hopefully, the best of company. 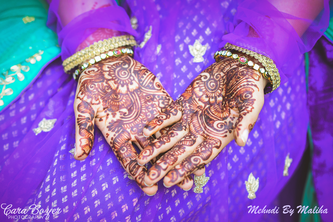 The mehndi ceremony does however involve some important decisions because the mehndi design you choose will be in all your wedding photos. This makes the prospect of having to choose it quite daunting. 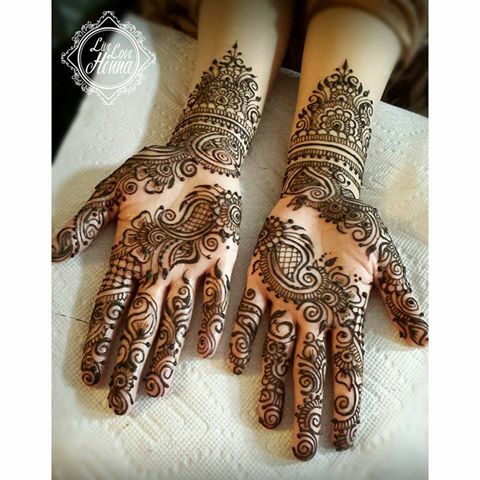 You need to think about whether you want a dark or light mehndi design, whether you want the pattern to match the embroidery on your wedding outfit or contrast it and whether you want an intricate lacy design or a simple design? And these are just some of the main things to consider. Obviously reading up on the pros and cons of different designs can be very useful, as can talking to people who have had their own mehndi ceremony before. 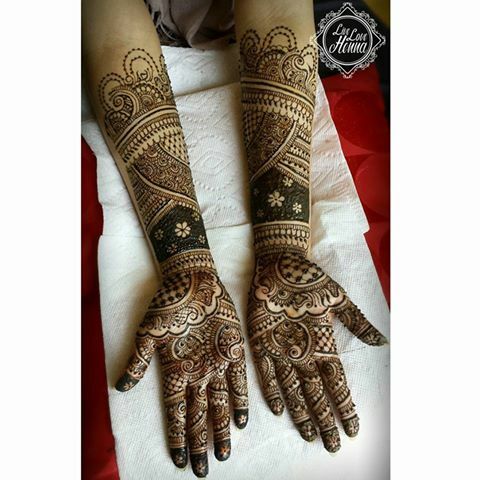 But, what I think is the best way to decide on the right type of mehndi design for you, is by scrolling through as many as you can and see what styles, shades and patterns take your fancy. So, with that in mind, here are some stunning mehndi designs by Maliha. Just over a decade ago if you looked at recent Indian wedding album, you would find the same set of photos staring back at you. Of course the people, setting and outfits would be different, but the poses and key shots would be almost identical from wedding to wedding. The majority of photos would involve some mandatory close up of the bride and groom, family shots and tons of photos of different combinations of guests posing with the bride and groom. Fast forward to 2016 and you will find a very different aesthetic in most Indian wedding albums. The key couple and family shots are of course the same, but what we have now is a much more creative and artistic documentation of the wedding. 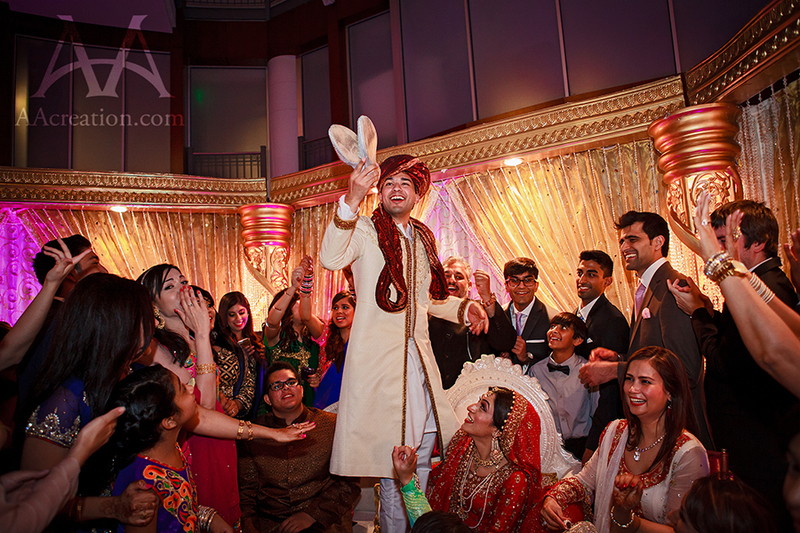 Modern Indian wedding photography now involves a mixture of posed and candid photos. Posed photos will of course never go out of style, they are what we fill our photo frames with. However, the view today is that if you only have posed photos of your Indian wedding or pre-wedding ceremonies, then you are getting a very superficial account. 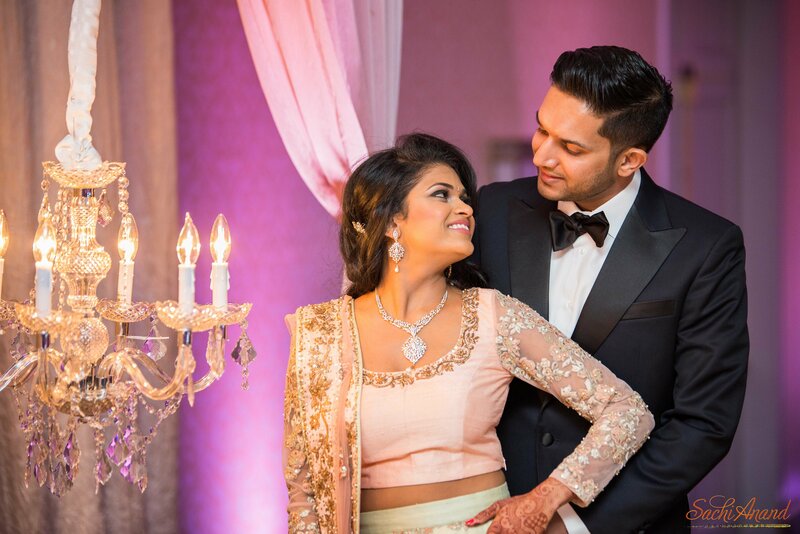 Instead we now like to see intimate moments between the bride and groom, the laughter and merriment shared with family and guests and the small but breathtaking details present in an Indian wedding from the decor, outfits and settings. This modern Indian wedding photography trend means that an Indian wedding photographer needs to have an artistic eye that can adapt to different weather conditions and lighting. Instead of just standing in a few key spots with a tripod, a photographer is now required to seek out different vantage points to get those big money shots. Indian wedding photography is no longer point, aim, click. The above photos are by the very talented Sachi Anand Photography and from the wedding of Jesal and Shakher. The traditional henna designs have become more decorative and intricate over time, with henna artists getting more and more creative. Henna designs used to be fairly simplistic and would just be made up of floral design and fine lines. 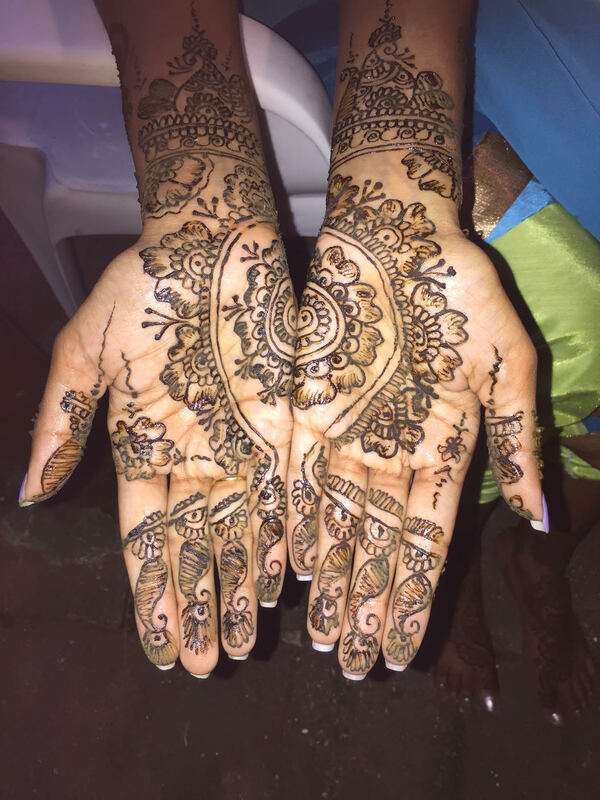 This however is no longer the case, with a variety of patterns and shades available, there is now a much wider choice when it comes to picking your henna design. While this can throw up some problems it is mostly a good thing that has made the mehendi ceremony much more fun. Recently, henna has not only started to become stylistically more elaborate, but has also become more colourful and at times more glittery. 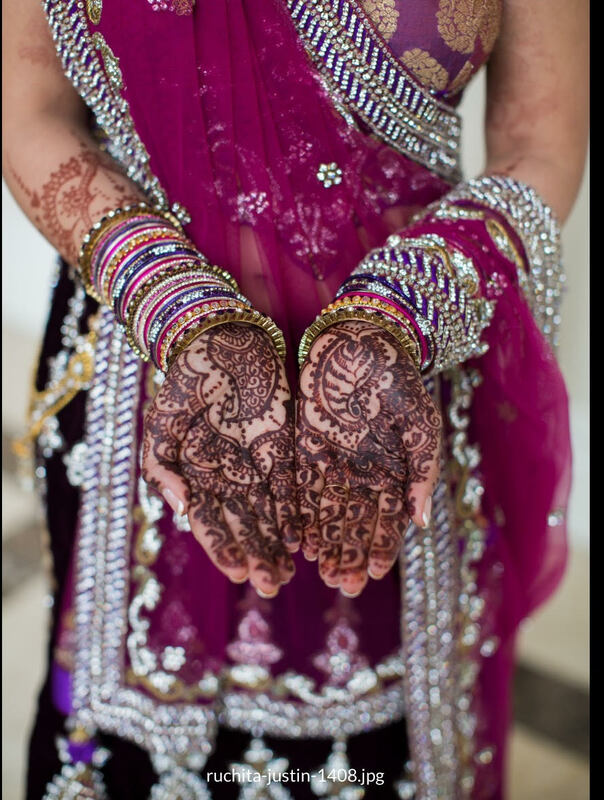 While the odd dash of colour and glitter can really make your henna design pop and be a real standout feature of your bridal look, it can make it more difficult to pair with your wedding outfit. Additionally, some brides will prefer a modern but more subtle look, rather than something overly busy or creative. 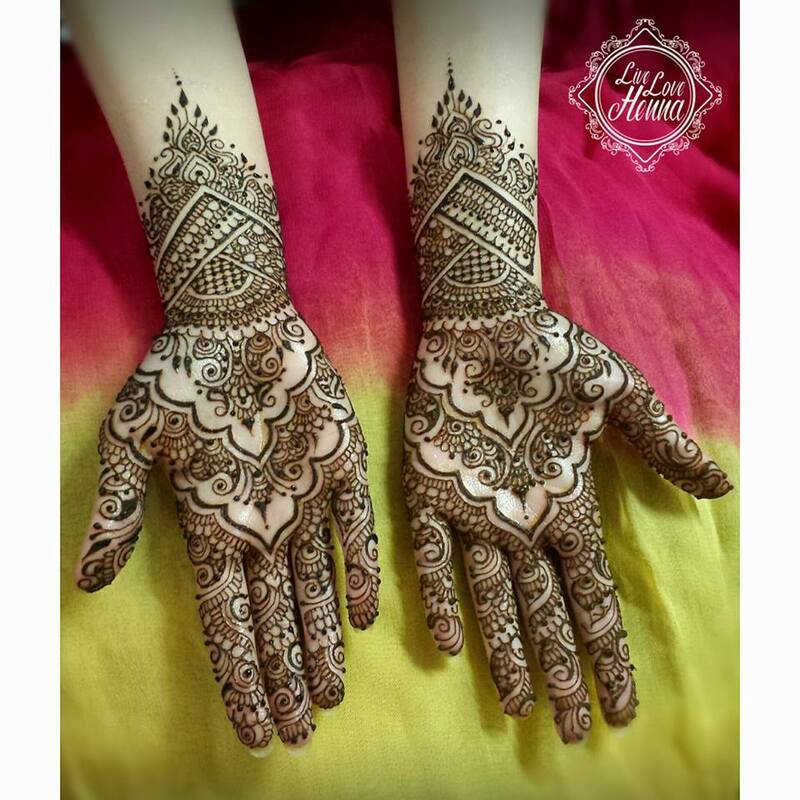 What Live Love Henna does really well is create a breadth of designs that range from beautifully simple to breathtakingly intricate. 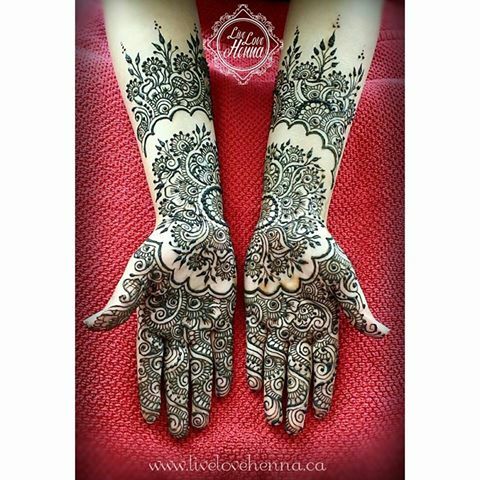 Live Love Henna makes sure every detail of your bridal henna is created with perfection adding the touch of tradition that all Indian brides of course want, yet providing a modern and innovative look. Every design is bespoke, so while you can flick through their design catalogue and go with one of those, you can also have your own totally unique design, that no one else has had before. Whether you are trying to decide between something traditional or modern, or intricate or simplistic, or a combination, the best way to decide is too look. So check out both www.livelovehenna.ca and www.facebook.com/livelovehenna. Style by Smita offers beauty and Styling services for occasions including Weddings, Engagements , bridal showers, baby showers, Anniversaries , birthday parties and Henna party ETC. 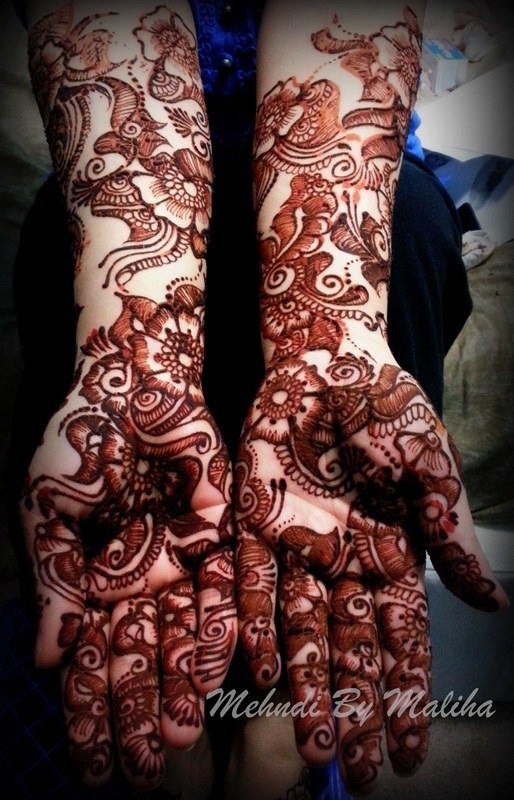 Today, I am going to look at her Henna Designs. 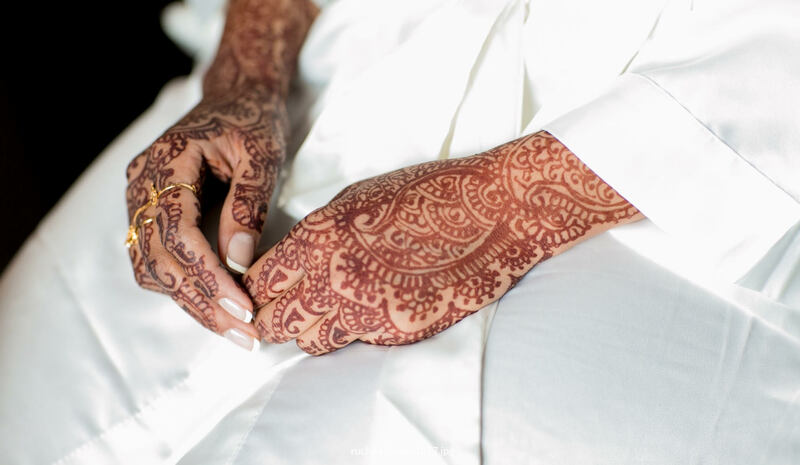 As you all know by now, I love henna tattoos and designs and the mehendi ceremony is one of my favourite parts of a big fat Asian wedding because it is one of the most glamorous and fun-filled events. 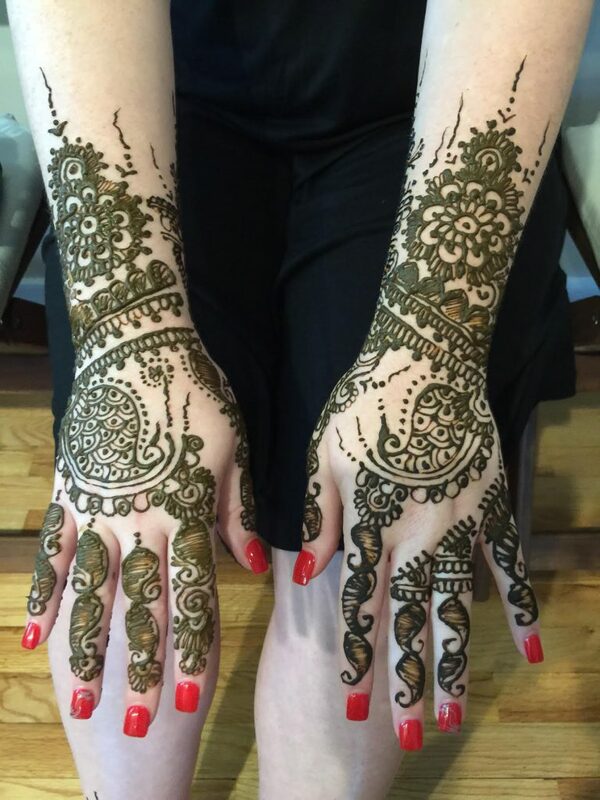 What in my opinion sets Style by Smita apart from all the other henna vendors are the intricate details and clever positioning. 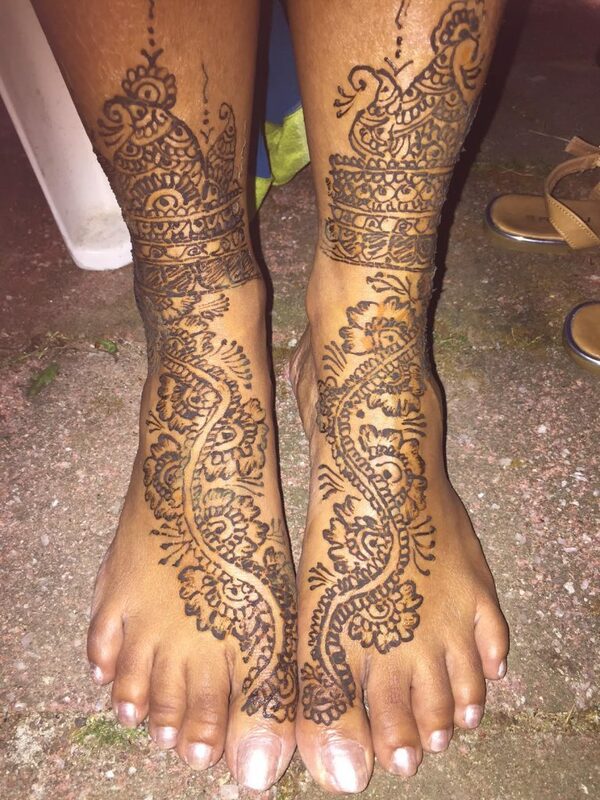 With a Style by Smita henna design, as the bride puts her hands or feet together, the design merges to form one. 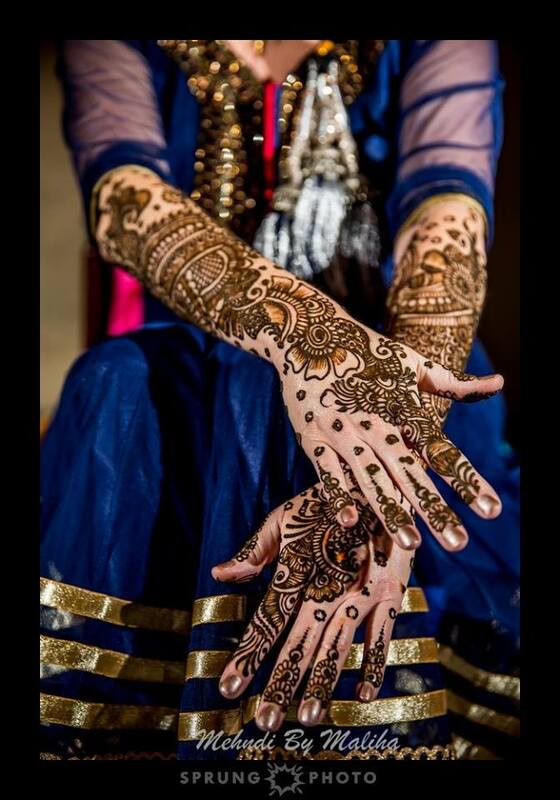 Style by Smita’s henna designs are beautifully artistic and would make a great addition to your bridal look. As with my other henna themed posts, I hope this one gives you plenty of inspiration. To try and make the decision of what type of design to have a little easier I am going to tell you about some of my favourite styles. The Split Mandala – A split mandala is usually the central focus of a henna design. With half of the circular pattern on one hand, and the other half on the second hand, the design is beautifully symmetrical. The Peacock Design – A peacock design with elaborated feathers can be easily incorporated with other motifs and floral patterns. Moreover, the grace of the peacock’s long neck and beautiful feathers is surely unbeatable. The Floral Design – Flowers are considered to be a neutral motif to wear as they are bound to match with any bridal attire. Furthermore, they always look delicate, elegant and wonderfully feminine!